This is the list of rulers of Morocco, since the establishment of the first Moroccan state in 789. The common and formal titles of these rulers has varied, depending on the time period. Since 1957, the designation King has been used. The first period of Fatimid overlordship lasted from 922 to 925. The second period of Fatimid overlordship lasted from 927 to 937. In 974, the Sultan Al-Hasan ben Kannun was defeated by Cordobese Umayyads. A period of Umayyad overlordship followed then. The Almohad Caliphate was a Moroccan Berber Muslim movement and empire founded in the 12th century. The Alaouite dynasty, or Alawite dynasty, is the current Moroccan royal family. The name Alaouite comes from the ‘Alī of ‘Alī ibn Abī Ṭālib, Muhammad's son-in-law and cousin, whose descendant Sharif ibn Ali became Prince of Tafilalt in 1631. His son Mulay Al-Rashid (1664–1672) was able to unite and pacify the country. The Alaouite family claim descent from the Islamic prophet Muhammad, through his daughter Fāṭimah az-Zahrah and her husband ‘Alī ibn Abī Ṭālib. Ifriqiya or Ifriqiyah or el-Maghrib el-Adna was the area during medieval history comprising what is today Tunisia, Tripolitania and the Constantinois — all part of what was previously included in the Africa Province of the Roman Empire. The Marinid dynasty or Banu abd al-Haqq was a Sunni Muslim dynasty of Zenata Berber descent that ruled Morocco from the 13th to the 15th century. The Idrisids were an Arab Zaydi-Shia dynasty of Morocco, ruling from 788 to 974. Named after the founder Idriss I, the great grandchild of Hasan ibn Ali, the Idrisids and the Hamroun are considered to be the founders of the first Moroccan state. The Wattasid dynasty was a ruling dynasty of Morocco. Like the Marinid dynasty, its rulers were of Zenata Berber descent. The two families were related, and the Marinids recruited many viziers from the Wattasids. These viziers assumed the powers of the Sultans, seizing control of the Marinid dynasty's realm when the last Marinid, Abu Muhammad Abd al-Haqq, who had massacred many of the Wattasids in 1459, was murdered during a popular revolt in Fez in 1465. Abu Muhammad ʿAbdallah 'al-ʿAdil' was an Almohad Caliph of Morocco, a former governor in al-Andalus who challenged and secured the murder of his predecessor, Abd al-Wahid I. His 1224 coup ushered in a period of instability that lasted well beyond his own death in 1227. He is often regarded as one of the most disastrous of Almohad caliphs. 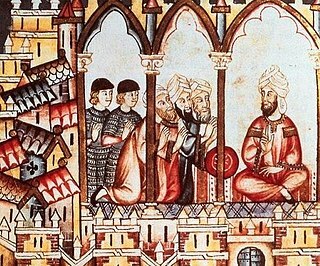 His coup divided the Almohads and set in motion the loss of al-Andalus and the eventual collapse of the Almohad state. The Imams of Yemen and later the Kings of Yemen were religiously consecrated leaders belonging to the Zaidiyyah branch of Shia Islam. They established a blend of religious and secular rule in parts of Yemen from 897. Their imamate endured under varying circumstances until the republican revolution in 1962. Zaidiyyah theology differed from Sevener/Ismaili or Twelver Shi'ites by stressing the presence of an active and visible imam as leader. The imam was expected to be knowledgeable in religious scholarship, and to prove himself a worthy headman of the community, even in battle if this was necessary. A claimant of the imamate would proclaim a "call" (da'wa), and there were not infrequently more than one claimant. Abū Ḥafṣ ‘Umar al-Murtaḍā was an Almohad caliph who reigned over part of Morocco from 1248 until his death.